The photograph of this shop was taken when we walked down the rue Daguerre. 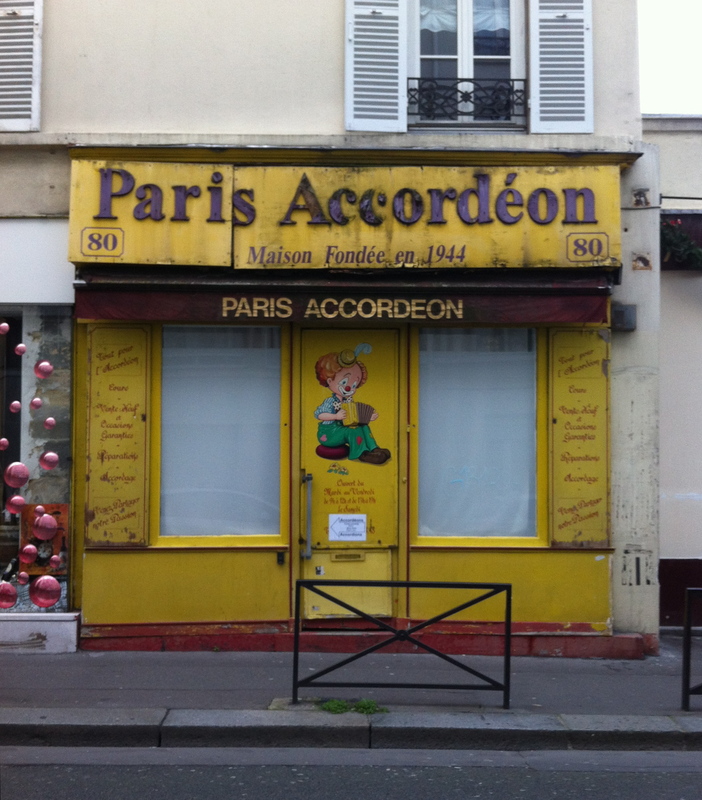 After re-visiting the Varda film, and seeing a few accordion players making appearances, I realize that this shop is probably one of the few things from the time of the film that is still more like it was then than any of the other shops along that street. I do not know how long ago the shop was closed, but I would guess it was not recently. I did not look for the shop while watching the film so maybe I will have to go back and watch it again. This entry was posted on January 30, 2014 by coraclepress.